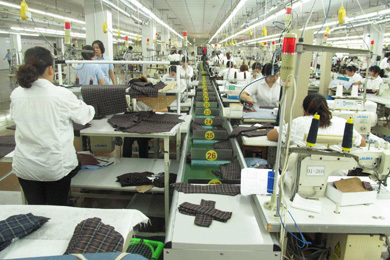 WAL started with knitwear when the company just opened its door, so the selected number of its knitwear factories have been growing together with WAL for past almost two decades. They are all survivals and winners of the economy growth and industrial upgrades in China and all of them nowadays are featured with highly efficient workers and big capacity. Over the decades they’ve become WAL’s strategic partners, just like what WAL did for its long term clients, the win-win cooperation. Those factories are certified factories on social compliance. 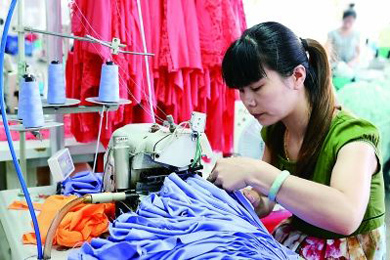 Compared with knitwear, a good woven garments factory supposedly relies more on supply chain from fabric selections to variety of accessories. 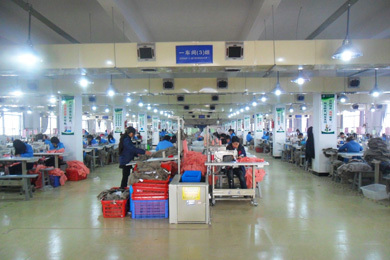 With that being said, we see the big advantage of our partner woven factories because all of them are located in the provinces around Shanghai, the traditional strong textiles areas where reliable fabrics mills and markets are easy to find. They are certified factories on social compliance. A nice fashion dresses factory needs nice pattern makers and experienced tailors while our partner factories on fashion dresses have them all. In the past decades, they cooperated with big brands like BCBG, Liz Claiborne, Gery Weber, and so on. Long time experience in the industry makes them more capable of handling fashion dresses orders no matter on styles or quality. They are certified factories on social compliance.